The freestanding electric fireplace from HOMCOM comes with 2 heat settings and a realistic flame effect which can be used independently. 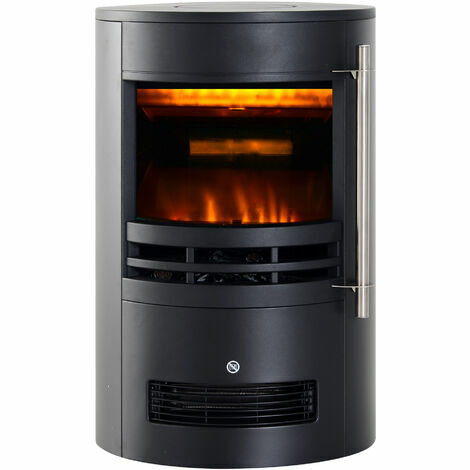 With the easy-to-operate switches on the back, it takes minutes to bring a fantastic LED flame illusion to life and warm up your room which is immersed in romantic atmosphere, no smoke or sparks to enjoy ash-free heating. The fireplace comes with a overheating thermal cut off for your safety and wellbeing. Gentle burning flame effect in barrel-shaped cast metal housing, this fireplace brings not only cozy warmth but a great visual effect.